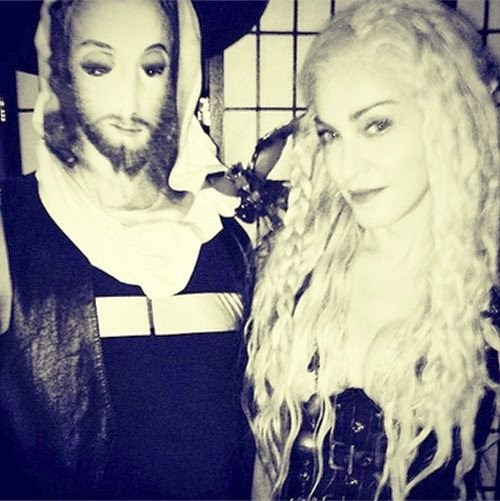 Getting into the holiday spirit, Madonna dressed up for the Jewish holiday Purim on Saturday (March 15). 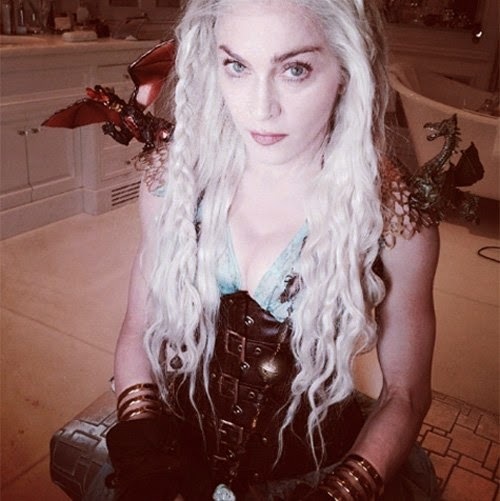 Sharing a photo of her outfit on Instagram, the " Vogue" singer dresses as Daenerys Targaryen from " Game of Thrones." Wearing leather, buckles, and lace, the Queen of Pop resembled the Queen of Dragons with a couple of the mythical creatures perched on her shoulders. Along with the pic, Madonna wrote, "Happy Purim!!!!! All Hail All Queens! ##certainty." Later, she posted a pic of herself and a man with a Jesus mask on with the caption, "Ive got a friend in Jesus! #revolutionoflove."